Welcome to Fiona Mitchell, author of The Maid’s Room. Over the years, reading wonderful books made me hope that one day I might actually be able to write one. I gave it a try several times, scribbling a rough plan into a notebook then writing as far as the first chapter. Each of these attempts ended up crumpled into the bin. It was only when I moved to Singapore for almost three years that I managed to get beyond the first chapter. I’d found a subject I felt passionate about: women working as domestic helpers trying to carve a way out of poverty with astonishing results. Here are the ten books that kept me writing until the very end of The Maid’s Room. Most are stories that feature human strength, some funny, some devastating, others simply beguiling. This is the book I was reading when I wrote the opening chapters of The Maid’s Room. I’ve read all of O’Farrell’s books bar two. (The autobiography is so going on my Christmas list.) This one is about new mothers – art critic Lexie who finds herself pregnant in the 60s and decides to have the baby, and Finnish painter Elina who lives in present day London and is recovering from a traumatic labour. At first, I tried to emulate O’Farrell’s writing – I thought that meant using big words and stuffing my book full of internal monologue. How wrong I was. It took a couple of years to find my own voice. This is the story of a teenager whose mum has died and who ends up finding a baby abandoned in the snow. Told with such simplicity and beauty, it impressed me so much that I originally wrote part of The Maid’s Room from the point of view of a teenage girl. That character eventually hit the cutting room floor. 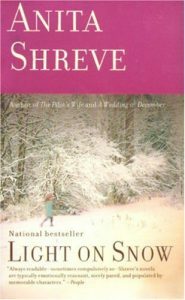 Even so, it was Shreve’s book that helped me reach the end of my flawed first draft. 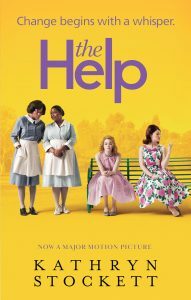 Charting the oppression of black maids in the American Deep South in the 1960s, The Help is harrowing but also hilarious. Minnie is one of my all-time favourite characters. The Help and The Maid’s Room share similarities – humour and an uplifting ending, for instance, but The Maid’s Room has a distinct story that’s set in the present day and highlights the global issue of modern-day servitude. A masterpiece about an unlikely friendship in Afghanistan. There’s Mariam, Burkha-clad and abused by her revolting husband Rasheed who picks his feet. Then there’s Laila whose family are liberal, and who goes to school. When Laila is orphaned she realises she’s pregnant. To survive, she has to marry Rasheed and she and Mariam become friends. It’s painful and beautiful, a convincing portrayal of two women written by a man. 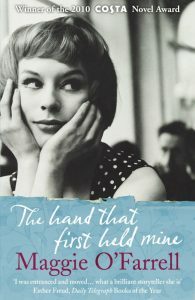 This is the book that I’ve bought most copies of – as gifts and also to replace the couple I lent and never got back. I guess my friends must have loved it as much as I did! Set in ancient biblical times, it charts the stories of the women in a polygamous tribe. It was the story of Rachel, a midwife who suffers multiple miscarriages that interested me most. Perhaps it was Rachel who sowed the seeds for my character Jules, a midwife from London, who can’t have children. 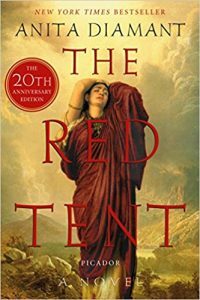 The number of times I’ve read The Red Tent? It stands at four, so far. It’s difficult to write a three person narrative, but Moriarty does it with aplomb. 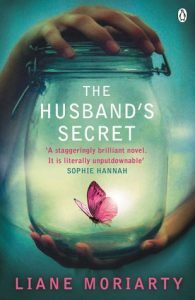 This book, about a woman who finds a letter in the attic from her husband with the words ‘only read in the event of my death’, will have you turning the pages feverishly while making you laugh. This is my favourite of Moriarty’s books, although in terms of television, Big Little Lies is one of the best series I’ve seen. Olive is one of the most three-dimensional characters I’ve come across in a book. She’s funny and difficult, but also compassionate. I’ve defaced my copy of this book with the amount of sentences I’ve underlined. Whenever I think I’ve forgotten how to write, this is the book I pick up and read a section of just to remind me how it’s done. 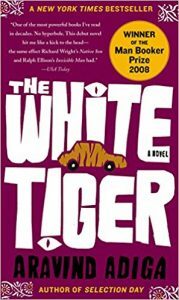 This book looks at how brutal life is for the poor in India, and the corruption of the people they serve, and it’s very funny indeed. Born into extreme poverty, Balram, lands a job as a driver to a seemingly kind man called Mr Ashok who keeps expressing guilt over the way Balram is treated, but never does anything about it. Mr Ashok underestimates his servant to his peril. Booker-prize-winning brilliance. 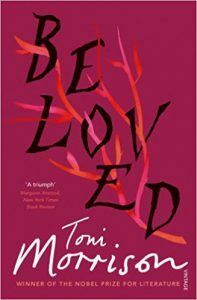 Set in the mid 1800s, this is a brutal novel about slavery that doesn’t look away. Sethe was born a slave and escaped into the free state of Ohio, but she isn’t truly free. Her home is haunted by the ghost of her dead daughter. 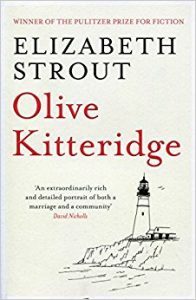 Perhaps it was this book that started my obsession writing about mother/daughter relationships and all their complications. And as for the language – Morrison’s writing is music on the page. She’s a total original. It’s only in having to choose ten books for this blog post, that I realised just what a strong influence Keenan’s book had on me. It focuses on the four and a half years he was held in captivity in the Lebanon where he and his fellow prisoner John McCarthy built a close friendship. I remember the degradation of the men’s existence, the despair, but most of all, the small moments of hope. 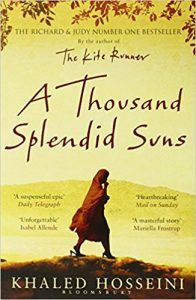 It was this book that made me want to explore how even in the harshest of circumstances, people seek out joy – however fleeting it might be. Set in the blistering heat of Singapore, an anonymous blogger is naming and shaming domestic helpers so that they can’t find new jobs. But then one defiant maid decides to fight back. A moving and humorous story about how women can come together and be the architects of their own future. Fiona Mitchell is an award-winning writer and has worked as a journalist for many years. She lived in Singapore for almost three years, and now lives in London with her husband and daughter. 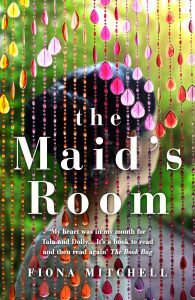 The Maid’s Room is her first novel.